As well as full brand identity design, I designed and developed a website for JB Mortages. 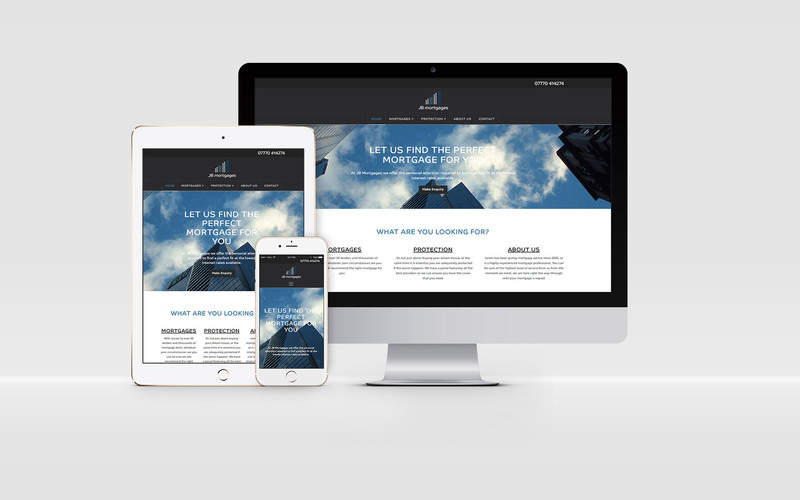 Powered by WordPress, fully responsive, mobile friendly and optimised for SEO, this bespoke site was first mocked up and conceptualised visually. Once the visual mockups were signed off, the site build began behind the scenes, was launched privately (only the client may view the site by logging into a secure portal) and then final developments and adjustments were made. 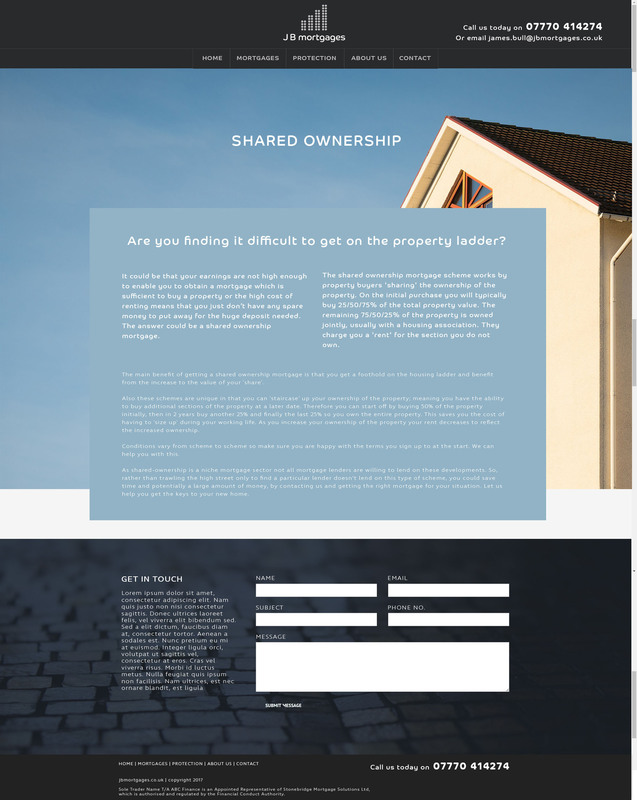 The site features strong visuals, which help reassure visitors they have found a company dedicated to helping them; all of the imagery has been carefully sourced on stock photography sites to appeal to potential customers in the London Property market. I’m a strong believer in stock photography, particularly as websites become simpler, clearer and cleaner – a less is more approach only works if the imagery is of a high enough standard to whole up the rest of the website. I implemented the same colour palette of cool, calm blues with white and negative space – along with a cold granite accent. 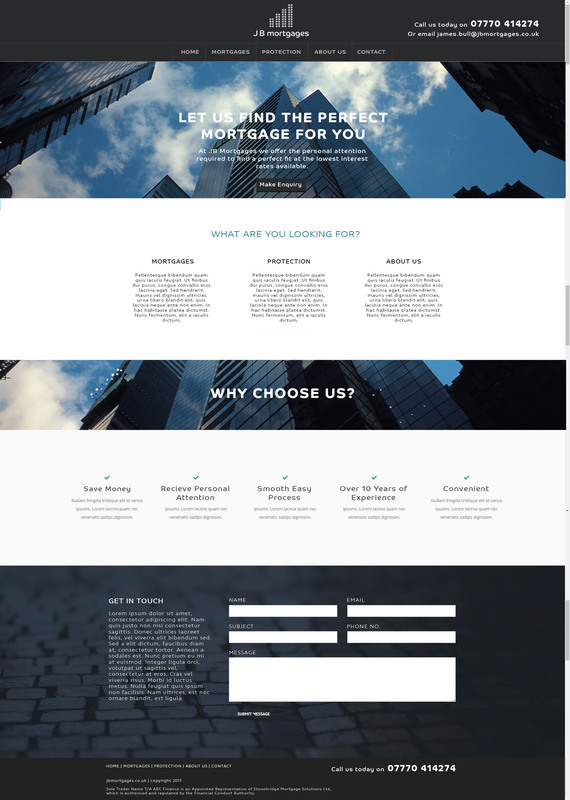 This gives a feeling of consistency from the website to branding and stationary for JB Mortgages.